Reversing rings are lens attachments that permit a lens to be turned around so that the front element of the lens is aiming into the camera and the rear element is aimed at the subject. There are actually two types of reversing rings. One permits you to reverse a lens directly onto the camera body. The Nikon model for this is the BR-2 or BR-2A with the A model being used with newer film cameras and all Digital SLRs. The other type reverses one lens onto another so that the lenses are facing each other. This type of reversing ring uses the filter threads to allow the connection. If you are using two lenses with different filter sizes then you will need a step up or step down adapter. This picture shows the two types of reversing ring. 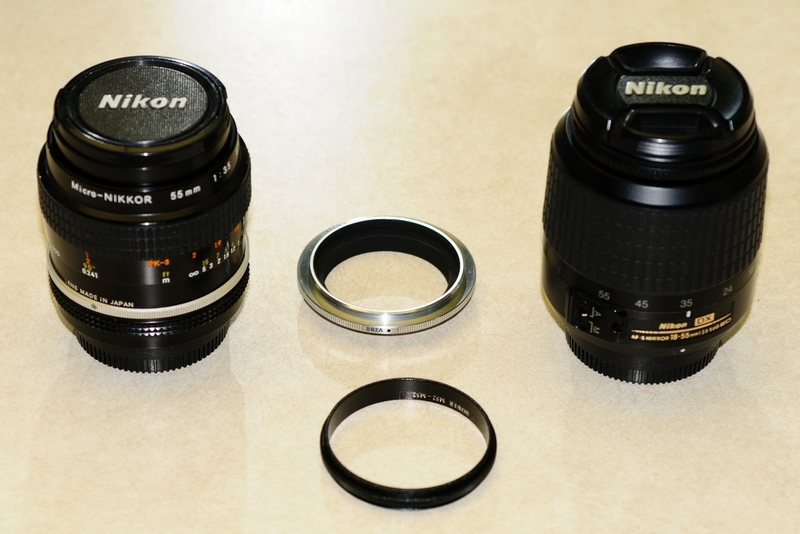 The top ring is the Nikon BR-2A reverse on camera ring. 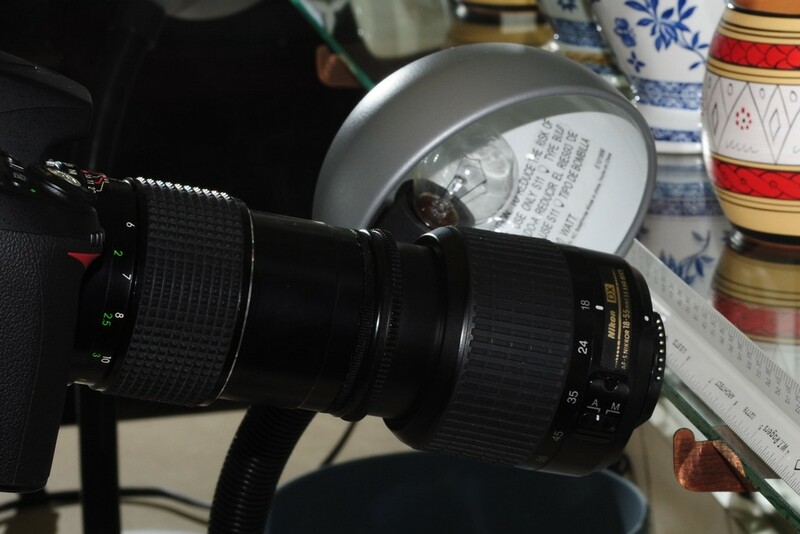 The bottom ring is a Bowers MC52-52 lens on lens reversing ring. 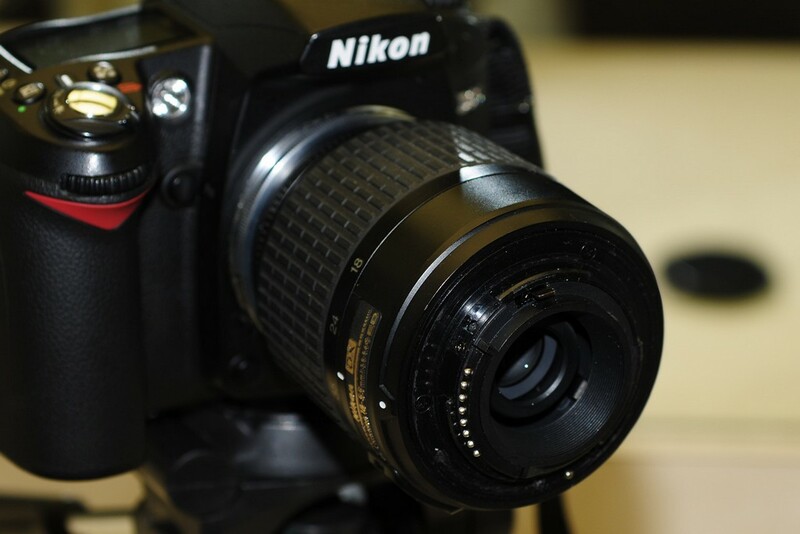 The lenses are a 55mm f3.5 Micro-Nikkor and the 18-55mm digital kit lens. First let’s look at a lens reversed on the camera with the Nikon BR-2A. Since the 18-55mm f3.5-f5.6 lens is widely available today I will use it as the example. 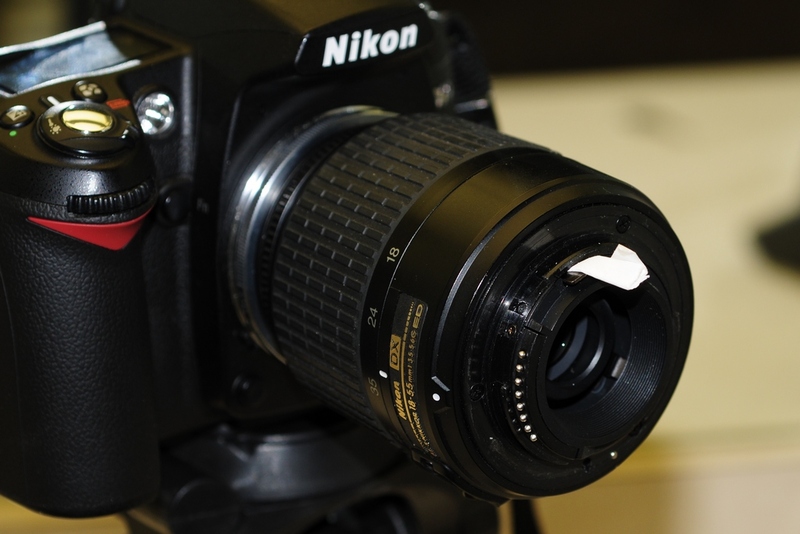 Here is the reversing ring and the 18-55mm mounted on a D90. 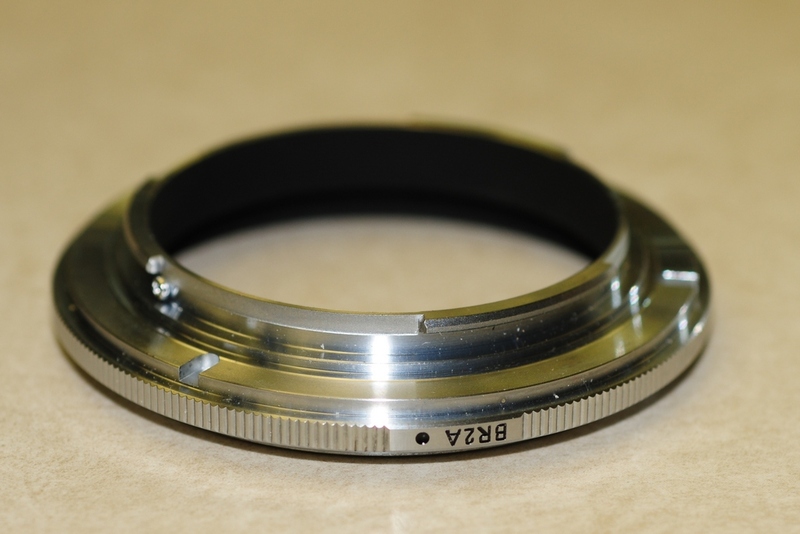 Here it is shown with the reversing ring on the front of the lens. Note that the reversing ring has the F-Mount bayonet flanges. The next picture shows the 18-5mm reversed on the D90 body. You can see the electrical contacts that allow communications and control between the camera body and the lens. Since these are not connected in this position, all focussing and aperture control must be done manually. Because of the loss of communications and connection, the camera can no longer control the aperture of the lens. On Nikkors, this control is performed by the position of a lever. The lever is normally in the closed (fully stopped down) position when the lens if off the camera. 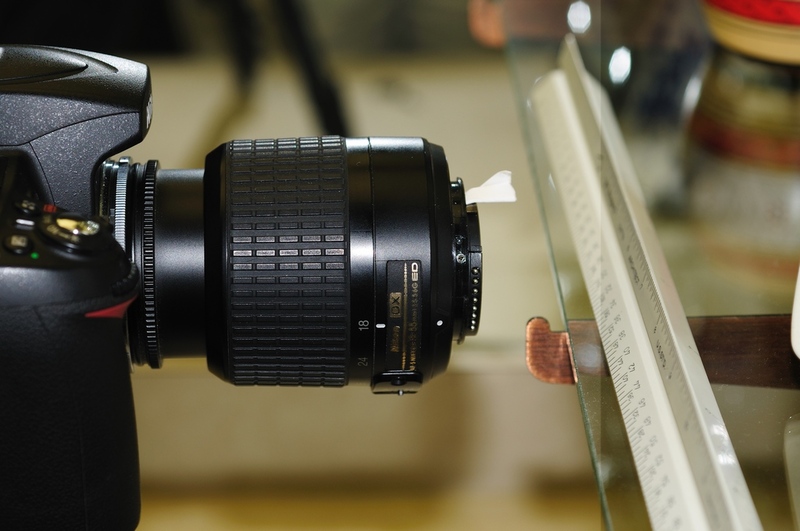 Once mounted, a lever on the camera body holds the aperture open. In normal on camera operation, when focussing or metering, the lever is held down to allow those function to be performed at full aperture. When the shutter is released, the lever is permitted to move to a position which represents the desired shooting aperture. It certainly isn’t elegant but, the lens is now wide open and ready to use. Nikon makes a BR-3A ring which mounts on the lens and allows the lever to be locked open or closed but, the bit of card works just as well. So, how does it work? Well, it does allow you to move much, much closer to your subject. I set up a small demo with the D90 and reversed 18-55. Here is what the setup looked like at 18mm. 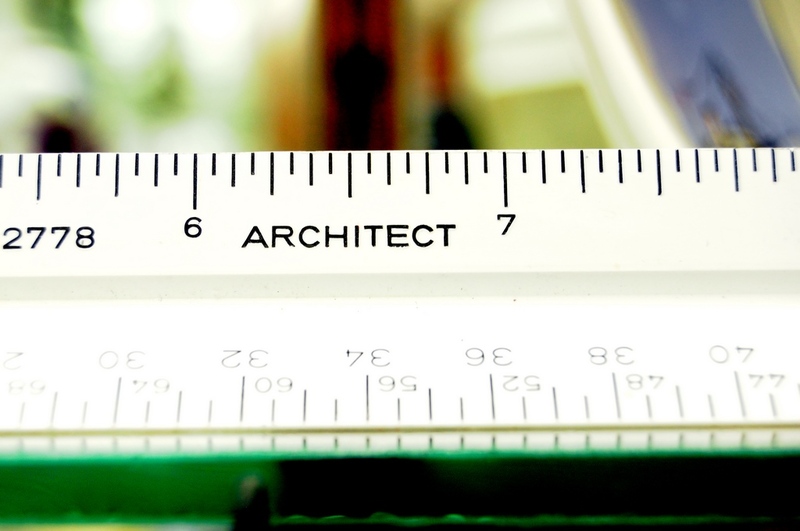 The two pictures below show the ruler at the minimum focus distance at 18mm and at 55mm. The bottom pair show the closest focus I could achieve with the lens reversed at 18mm and 55mm. Surprised? Notice that the 18mm position provides a much greater closeup capability. In fact, it’s beyond 1:1. Just as the position is reversed, the function is as well. The WA side of the lens creates a larger image circle and your sensor is actually cropping it. I apologize for the fuzziness of the WA image. I didn’t have a remote handy as was pushing the shutter by hand. I only have two lenses with 52mm filter sizes at the present time. 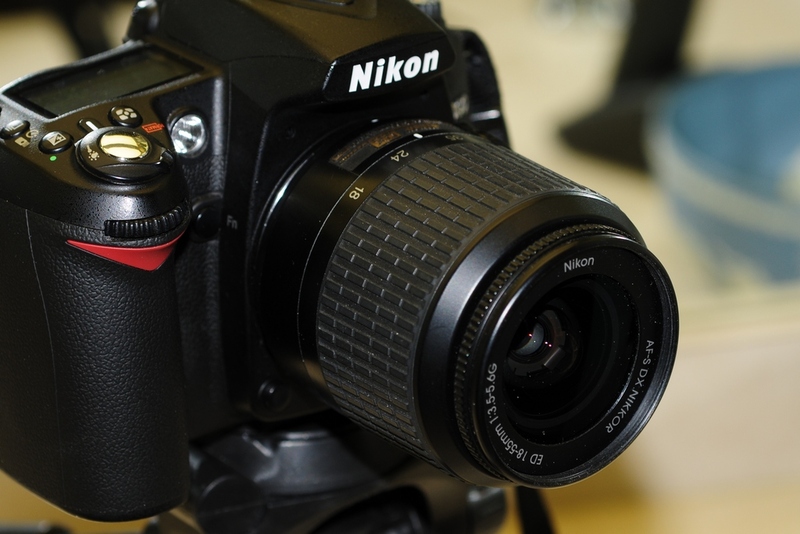 The 18-55 and the 55mm f3.5 Micro-Nikkor. The 55mm is a non-AI lens and had never been modified. I usually use it on a bellows but, that’s another topic for another time. Just for demonstation purposes, I mounted the 55mm reversed on the 18-55mm. As I expected, this was not a good combination. 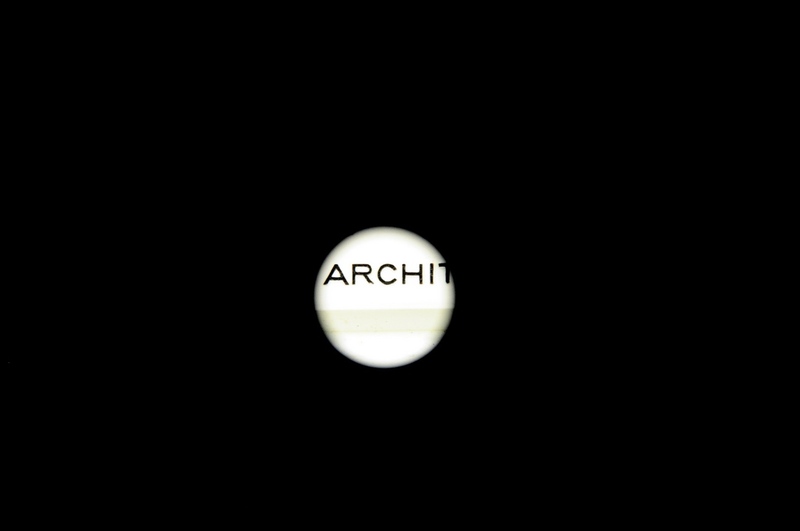 While I did get slightly better magnification and retained exposure control the images were just small circles in the center of the sensor. This method works best when the reversed lens is a wide angle. But, just to show you how the rig looks, here it is. As I said, this was not a good combination for shooting and I only did this to show the configuration. 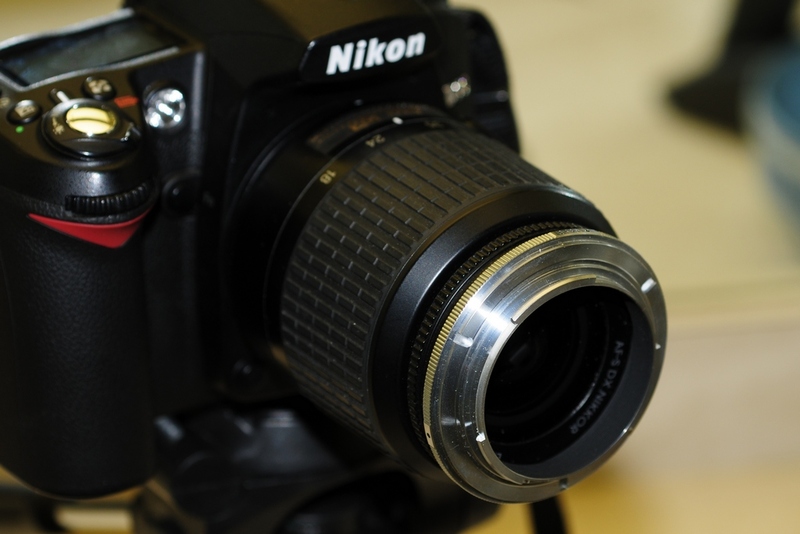 The 55mm f3.5 is an old Non-AI lens of metal construction and is heavier than the 18-55mm. I was a bit hesitant to mount this and made sure the 18-55 barrel was as far back as it could go to make sure the weight didn’t hurt anything. 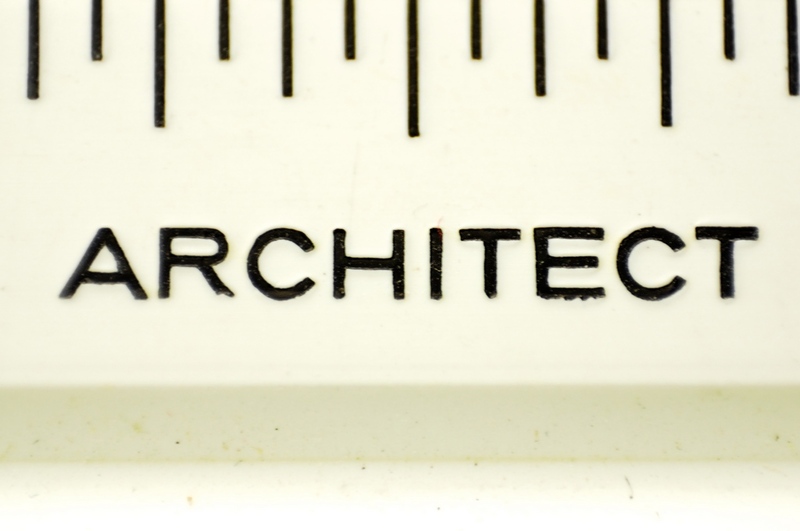 After writing the above, I realized that I had an old 135mm f2.8 noname telephoto which could be used with the 18-55. I dug it out and mounted it on the D90 with the 18-55 reversed at 18mm. 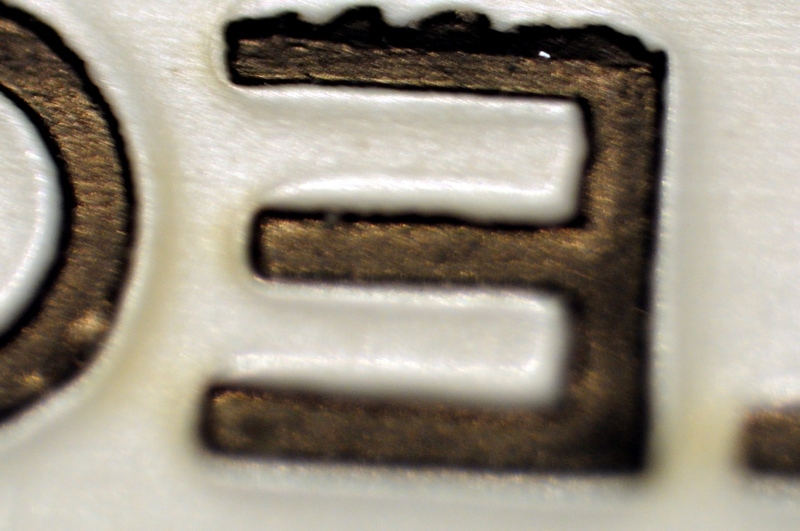 The results were now a lot better with a lot higher magnification. I didn’t have much time to setup for various reasons but, the rig looked about the same while the images were no longer vignetted. 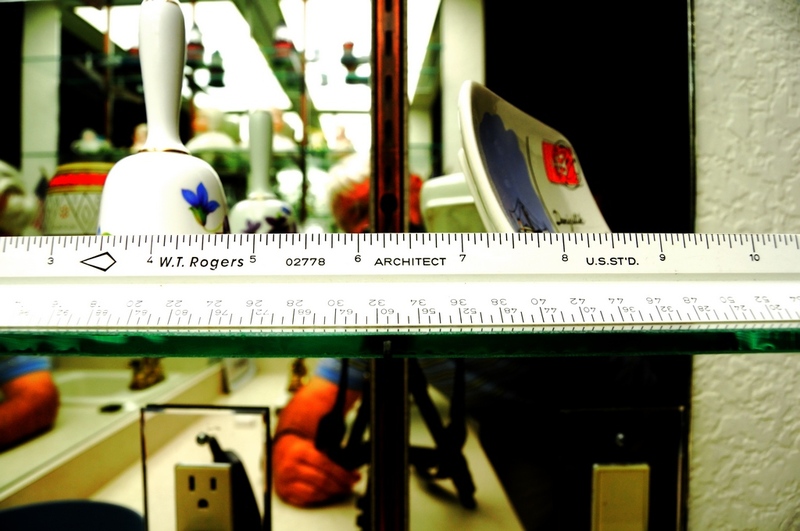 I had to invert the target ruler because the range was so close that I was bumping into the shelf it was on before achieving focus. The viewfinder was very dim and the extra light was needed behind it. But, as you can see, much higher magnification was achieved using a telephoto as the on-camera lens and a wideangle as the reversed lens. If you want to pursue lens to lens reversing, I would recommend the widest angle old lens with an aperture ring to use as the forward lens. 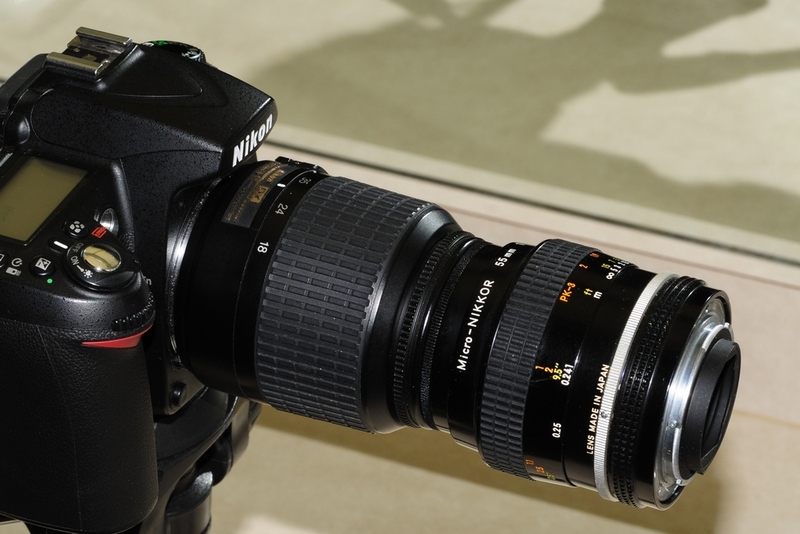 G mount lenses can be used since the actual aperture control will be on the camera side lens. 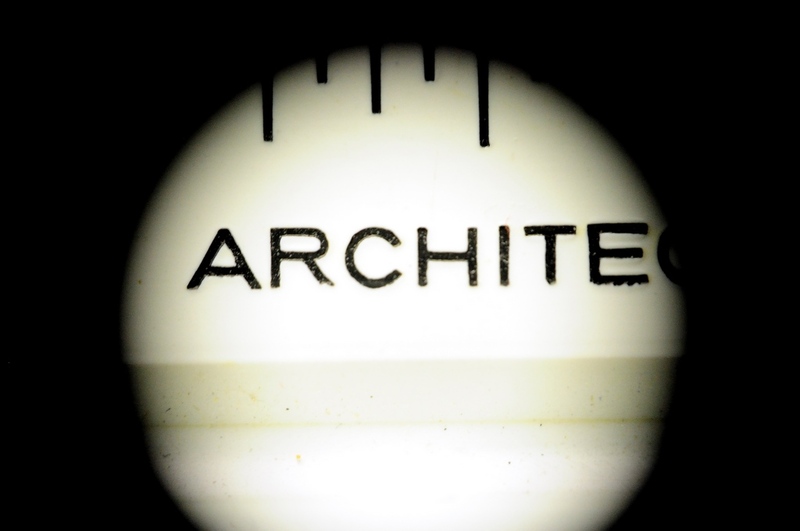 This entry was posted in Camera Gear, Camera primers, Shooting closeups and tagged Photography. Bookmark the permalink. Very nice site. I especially appreciate all of your photo primers and equipment discussions. I have recently created a web site for our local club here in Cincinnati, http://nugcinci.com/ , based on WordPress like yours. I note that your site is much more responsive and quicker to load. Might I ask where you host your site. I use GoDaddy and at times it takes as much as 30 seconds to fully load. I am looking to switch hosting, so any help would be much appreciated. I just use the wordpress site with the free allocations of space. They host the blog. Zenfolio hosts my puntagordanaturally.com site. I did use godaddy for domain registration but, that’s all. Thank you so much for taking the time and effort to put this self explanatory setup. 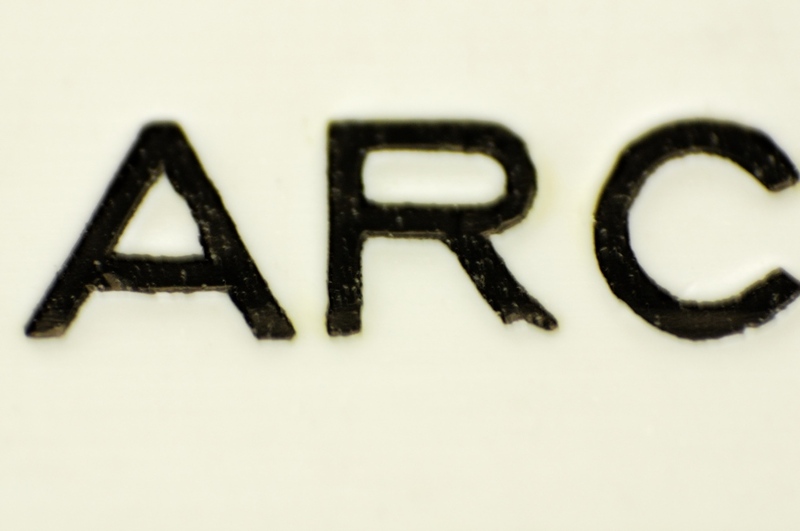 Am torn on buying a dedicated macro lens or just reversing my 18-55 which i hardly use anymore,.